(2-9-18) A recent blog by Dr. Dinah Miller, co-author of the book, Committed: The Battle Over Involuntary Psychiatric Care, elicited this response from John Snook, executive director of the Treatment Advocacy Center. John serves with me on the Interdepartmental Serious Mental Illness and Serious Emotional Disturbance committee, that advises Congress on the state of mental health care in the nation. I consider both John and Dinah friends and fellow advocates. Clearly, they have much different opinions. I must admit I read Dr. Miller’s piece regarding the “worried well” with some amazement. She completely misses the point — a point that doctors like her have willfully ignored for the last twenty years: severe mental illnesses demand immediate and targeted attention. Across the nation, rates of homelessness, incarceration, substance abuse and suicide that occur when the seriously mentally ill are left untreated are beyond crisis levels. Needed treatment beds are so decimated that mental health officials increasingly provide care only under threat of their own arrest. Dr. Miller appears to want to sweep these many failures of the mental health system she represents under the rug as ancient history. Her piece is an impressive attempt at gaslighting – in her world, mental health providers have always considered the needs of the most severely ill. Those suffering with untreated severe mental illness and their families who suffer with them know better. Let’s put this discussion in perspective. 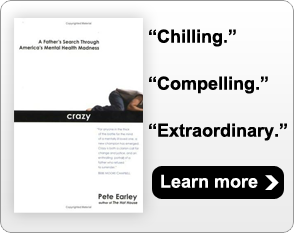 We are barely four years removed from the Substance Abuse and Mental Health Services Administration’s (SAMHSA) four-year-plan that shamefully neglected to even mention the word schizophrenia once throughout its 117 pages. And it has been only a year since the passage of the 21st Century Cures Act, the first serious federal response to the crisis of serious mental illness in more than a generation. The ink is barely dry on this law; in fact, none of the recommendations put forth in the Interdepartmental Serious Mental Illness and Serious Emotional Illness Committee’s initial report have even been acted on. The point is not that someone with schizophrenia is, as Dr. Miller suggests, “more deserving of care;” it’s that they are in need of care, that they have been systematically denied that care, and that society-at-large has much to gain if they provide that care, and a lot to lose if they do not. Dr. Miller also sadly appears to affirm her position as one of a select group of psychiatrists who chose to ignore the research on anosognosia and severe mental illness in favor of her chosen personal politics. Much like climate-change deniers, one suspects there is no amount of evidence regarding anosognosia that will ever cause them to abandon their chosen position. But in the interest of hope, I would be happy to send along the Schizophrenia Bulletin from January of 2011, an issue of this prestigious journal dedicated entirely to the reality of anosognosia almost a decade ago. I could also send along some of the more than 200 studies they reference or the many published since then. Failing that, I would invite Dr. Miller to join me to walk the streets this winter at Georgetown Ministry, where I serve on the board. Together, we can meet the many homeless people on the streets of DC for whom anosognosia is a terrible reality. I would hope that after meeting the kind, dedicated team there, Dr. Miller would see how misinformed and deeply insulting her comments about just making treatment “kind enough” are. Maybe then she’ll understand that anosognosia is a reality and for those who suffer with it, kindness may never be enough. That people no more choose to have anosognosia than they choose to have diabetes or cancer. Maybe this will be enough. I doubt it, but I remain an optimist. *A bed instead is the Treatment Advocacy Center’s campaign for the funding of more crisis care hospital beds rather than having individuals with serious mental illnesses inappropriately incarcerated in our jails and prisons. TAC remains the nation’s leading research organization investigating barriers to treatment, such a hospital bed shortages and the growth of Americans with serious mental illnesses being arrested and incarcerated. It is a strong supporter of assisted outpatient community treatment. The IMD exclusion denies Medicaid payments to states if they operate a psychiatric care facility that has more than 16 beds. It was passed by Congress to encourage the closing of large psychiatric institutions, but as I reported in my book, it prevents successful programs such as Passageways in Miami from accepting clients who need a place to live. You can sign TAC’s petition asking for its repeal here. John Snook is executive director of the Treatment Advocacy Center, widely recognized as one of the most influential mental health advocacy organizations in existence today. More than half of the states have reformed their mental health laws as a result of the Treatment Advocacy Center’s advocacy, and their original research on issues such as the criminalization of mental illness has reshaped the national narrative on the treatment of severe mental illness. Mr. Snook brings the organization more than 15 years of policy and advocacy experience at both the federal and state levels. Prior to joining the Treatment Advocacy Center, John served as Director of Loan Administration Policy for the Mortgage Bankers Association (MBA), serving as the association’s policy expert for issues impacting the mortgage servicing industry. Preceding his time at MBA, John was with Habitat for Humanity International, where he grew Habitat’s nascent state and local advocacy network into a driving nationwide force for affordable housing policy. John also co-led Habitat’s neighborhood stabilization efforts, Habitat’s response to the foreclosure crisis. These efforts ultimately resulted in thousands of new Habitat homes and more than $350 million in new funding to address foreclosed properties. But John’s true passion has always been mental health reform. His focus on the issue began in law school, as he saw a loved one struggle with untreated mental illness. John championed mental illness reform, working first with the West Virginia Supreme Court on mental health issues and then at the Treatment Advocacy Center as a lobbyist and advocate for state mental health reform. John’s return to the Treatment Advocacy Center as Executive Director represents a homecoming in his work on these important issues. John received his J.D. from the George Mason School of Law in Virginia and his B.A. from Washington & Jefferson College in Pennsylvania.